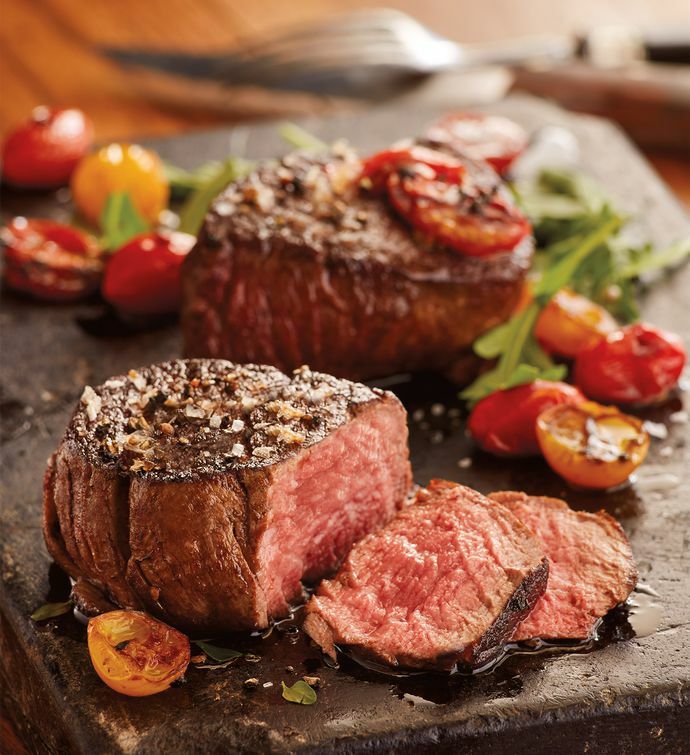 Previously only available in select steakhouses, our USDA Prime Barrel-Cut Filet Mignon is hand-carved from the center of the tenderloin to deliver uniform, restaurant-quality presentation. 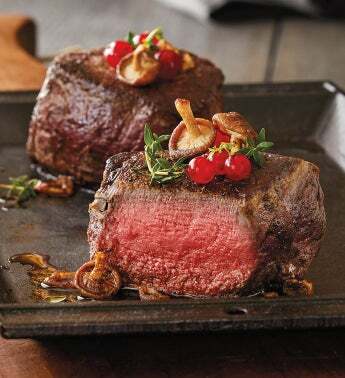 Each filet is wet-aged 21-30 days for maximum flavor and buttery, melt-in-your-mouth tenderness. Top with a dollop of one of our finishing butters for an added touch.